Want to get a close up encounter with sea lions or perhaps experience being a mermaid for a day? 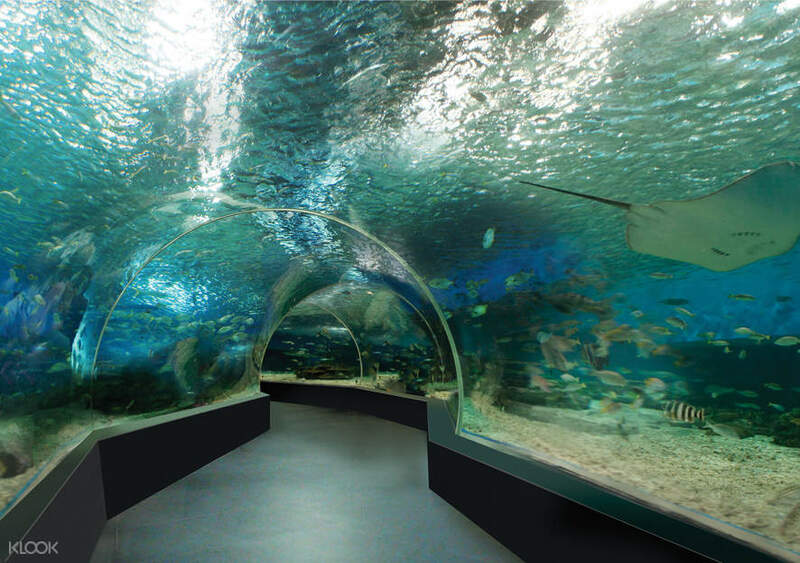 Book Klook's Manila Ocean Park Encounters! Special Offer for Philippine users: Get P300 off with a min purchase of PHP4,000 using promo code EXPLOREHOME300 valid until 30 Jun 2019! Dive into a day of wonder and excitement at the Philippines' first word-class marine theme park and premiere educational facility! 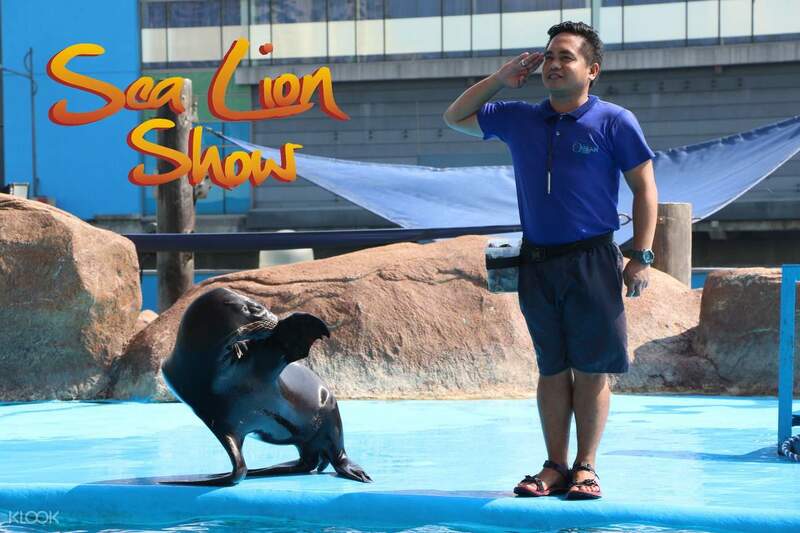 At Manila Ocean Park, you'll discover a world of aquatic attractions, exciting activities, and interactive shows - all of which cater to locals and tourists of all ages. With Klook's exclusive attraction pass combinations, you can get access to either 8 or 14 unique and best-selling sights. Explore the vast Oceanarium and meet sharks, birds, stingrays and other friendly animals, or walk through a number of exhibits that will expand your knowledge on the extensive marine life that inhabit the different continents of the world! No matter the weather or time of year, you're sure to take home unforgettable memories in this fascinating and one-of-a-kind park. 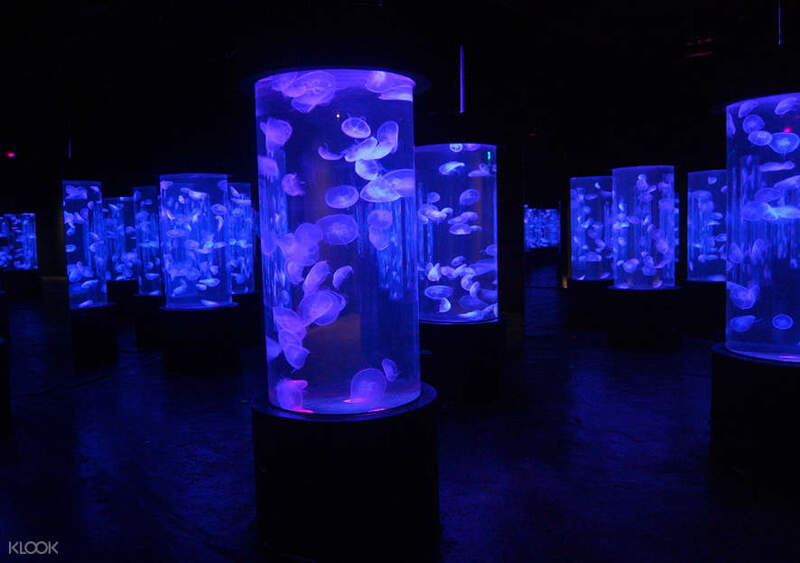 Admire jellyfishes gracefully gliding along with music and effects at the Jellies Exhibit! 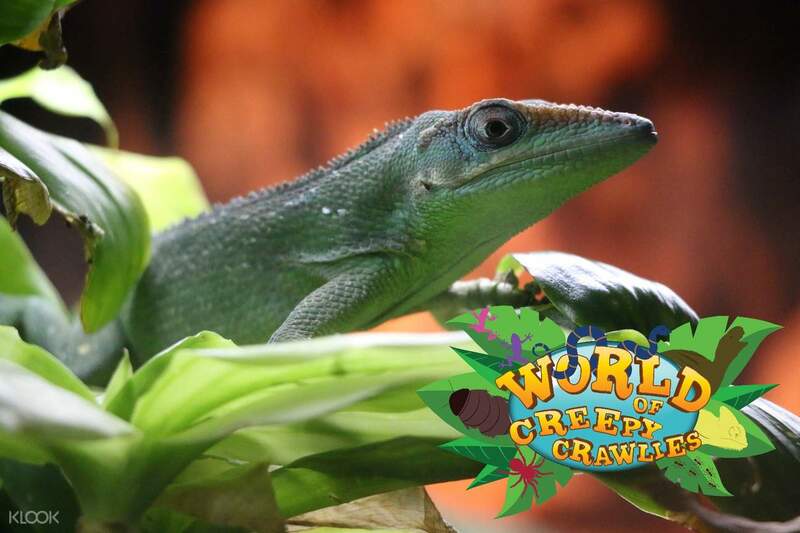 World of Creepy Crawlies: Get to know more about insects, worms, spiders, bugs and frogs! Supertoy Collection: Check out the largest toy collection of your childhood superheroes in the Philippines! Going to see the fishes is always fun. We went there around 10 in the morning and there was no crowd yet. This was during a weekday so if you wanna get good pictures, without much people in the background, i suggest that it's better to go there earlier. Going to see the fishes is always fun. We went there around 10 in the morning and there was no crowd yet. This was during a weekday so if you wanna get good pictures, without much people in the background, i suggest that it's better to go there earlier. We went to Manila Ocean Park yesterday and bought our voucher thru Klook. I used my previous points i earned at Klook so our tickets were discounted. I wanted my family to enjoy summer and at the same time i want my daughter to learn while enjoying. Indeed, she got excited to see big fishes, sharks and marine animals. She even read the captions. She enjoyed seeing creeping crawls and the jellies too. It was our first time to see Jellyfish! We watched the sea lion show it was truly enjoyable! lastly we enjoyed watching the light shows of the symphony. I was thinking that it’s also comparable to the one in Singapore... It was great! We went to Manila Ocean Park yesterday and bought our voucher thru Klook. I used my previous points i earned at Klook so our tickets were discounted. I wanted my family to enjoy summer and at the same time i want my daughter to learn while enjoying. Indeed, she got excited to see big fishes, sharks and marine animals. She even read the captions. She enjoyed seeing creeping crawls and the jellies too. It was our first time to see Jellyfish! We watched the sea lion show it was truly enjoyable! lastly we enjoyed watching the light shows of the symphony. I was thinking that it’s also comparable to the one in Singapore... It was great! a great experience for all the family but do make sure your ready for the heat in some of the areas. 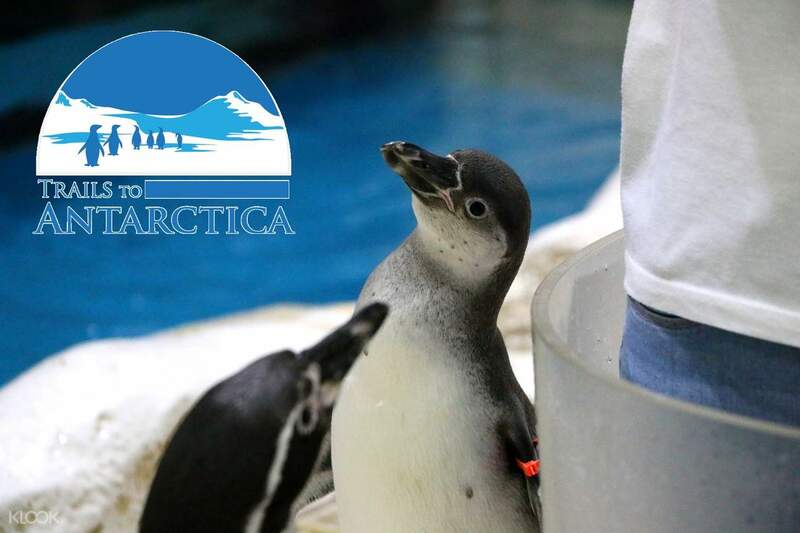 Also important for the sealion show to get their early to get a seat with a breeze (near the back) Also please be aware the feeding of the penguins is an extra fee and there can be quite a wait for. a great experience for all the family but do make sure your ready for the heat in some of the areas. Also important for the sealion show to get their early to get a seat with a breeze (near the back) Also please be aware the feeding of the penguins is an extra fee and there can be quite a wait for. My second time yet still as enjoyable. My baby sister enjoyed the whole thing too! it was just unfortunate that there was a big group on tour on the same day and they were a bit rowdy and too loud, making us leave the attractions quicker than normal. My second time yet still as enjoyable. My baby sister enjoyed the whole thing too! it was just unfortunate that there was a big group on tour on the same day and they were a bit rowdy and too loud, making us leave the attractions quicker than normal. it's a wonderful experienced and everyone had so much fun., especially my niece and my nephew. this is theire first time to be in manila ocean park at its really memorable for them. even my mom and my dad enjoyed the show. surely we will be back soon and looking forward to book on klook again. it's a wonderful experienced and everyone had so much fun., especially my niece and my nephew. this is theire first time to be in manila ocean park at its really memorable for them. even my mom and my dad enjoyed the show. surely we will be back soon and looking forward to book on klook again. Super enjoy! the bird show was entertaining, the penguins were so cute (it was my first time seeing them), and the different kinds of marine animals. i find them so cute and amusing. would like to go back again! Super enjoy! the bird show was entertaining, the penguins were so cute (it was my first time seeing them), and the different kinds of marine animals. i find them so cute and amusing. would like to go back again! This is indeed a great experience for friends, family and even for dates. Anyone would enjoy the attractions here. Went here at 4:30PM on a Tuesday and managed to finish all the attractions just in time before the last entry. I suggest going here on a weekday, we were able to go into the Oceanarium without a crowd. The sea lion show was really entertaining. The other exhibits are fine but some might really be short, just like the Supertoy collection and Jellyfish exhibit. The Symphony Evening Show has some boring parts but it is fascinating and a little bit different than the other fountain shows since it has an element of fire in it. But overall, it was still great. You might also enjoy the sunset view at the second level. I recommend this activity for anyone who wants to have a quick escape. This is indeed a great experience for friends, family and even for dates. Anyone would enjoy the attractions here. Went here at 4:30PM on a Tuesday and managed to finish all the attractions just in time before the last entry. I suggest going here on a weekday, we were able to go into the Oceanarium without a crowd. The sea lion show was really entertaining. The other exhibits are fine but some might really be short, just like the Supertoy collection and Jellyfish exhibit. 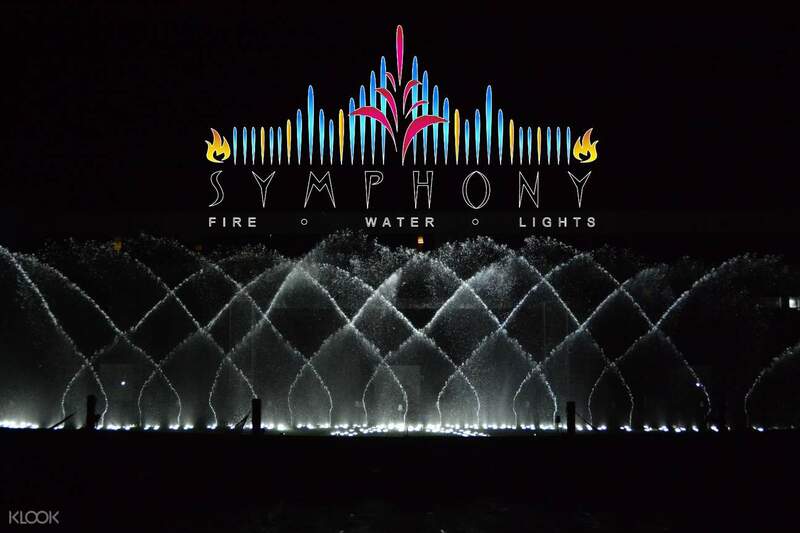 The Symphony Evening Show has some boring parts but it is fascinating and a little bit different than the other fountain shows since it has an element of fire in it. But overall, it was still great. You might also enjoy the sunset view at the second level. I recommend this activity for anyone who wants to have a quick escape. This was my third time coming here and I saw that there had been new stuff added every time. I was very happy to see the improvements although I hope it could have improved more. Overall, the experience is still great. This was my third time coming here and I saw that there had been new stuff added every time. I was very happy to see the improvements although I hope it could have improved more. Overall, the experience is still great. The voucher is a great experience. For 700, saw 8 attractions. Their is no re-entry once you visit an attraction, spend as much time inside. The Jellyfish is the shortest attractions though, and less display as the others. The Toys attractions is entertaining. There is a ball pit for kids and for adults for an additional cost of 150 pesos, with complementary coffee and seating for parents while their kids play. The other attractions are nice too. Facilities are clean and the animals looks taken care of. The downfall for me is the parking, arrived there around 11:30am and left 5pm with a bill of 200 pesos! I wish they gave complementary parking as I already bought tickets to see their park. Nonetheless it was great experience to spend my son's birthday in. The voucher is a great experience. For 700, saw 8 attractions. Their is no re-entry once you visit an attraction, spend as much time inside. The Jellyfish is the shortest attractions though, and less display as the others. The Toys attractions is entertaining. There is a ball pit for kids and for adults for an additional cost of 150 pesos, with complementary coffee and seating for parents while their kids play. The other attractions are nice too. Facilities are clean and the animals looks taken care of. The downfall for me is the parking, arrived there around 11:30am and left 5pm with a bill of 200 pesos! I wish they gave complementary parking as I already bought tickets to see their park. Nonetheless it was great experience to spend my son's birthday in.